This album was inspired after my experience on The X-Factor. 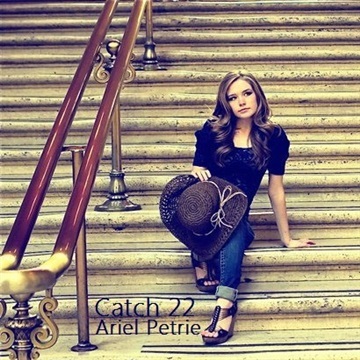 The track "Catch 22" embodies the struggles I went through while on the reality singing competition. "That Used To Be Us" was not based off of personal experience, but rather, the title of a book I saw while in a book store. I thought it would make a great song title as well, so I wrote my interpretation of it. "Sad Song" is also not based off of my personal experiences, but that didn't stop me from writing a sassy break-up song. I wrote "When It Rains" while my boyfriend (now husband) was deployed in Afghanistan. I made the mistake of reading A Farewell To Arms while he was deployed and I pulled a lot of emotions and metaphors from the book as well as my own emotions at the time. Production by Eric Nelson at Eclipse Studios. Co-writer: Eric Nelson on "Catch 22"